Eva Frazzoni’s Junior goalkeeper teammate Marika Laurendeau stopped two shots in the penalty kick portion and another in regulation to propel The College of Saint Rose to the second round of the NCAA Championship Tournament after the Golden Knights and Mercy played to a 1-1 draw. Saint Rose will now face either host Bridgeport in their second round match. The 17th ranked Purple Knights advanced with a 2-1 first round triumph versus Stonehill. Junior forward Nina Predanic put the Golden Knights up 1-0 with 33:43 gone by when she lined home a picturesque shot top side from some 25-yards out. However, Mercy tied it when senior forward Haley Noble jumped on a loose ball deep inside the area off a restart and tucked it inside the right post with 70:07 expired. 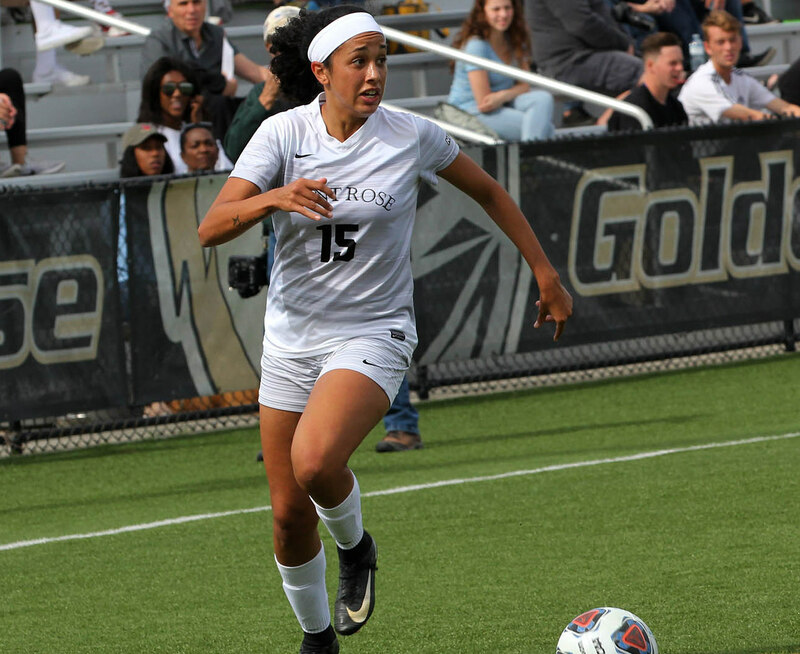 The Mavericks had a chance to put themselves in control, but Laurendeau deflected away a penalty kick by junior midfielder Natalia Elizarraras to keep the match level. The opportunity was granted following a handball in the area. Both teams had opportunities to alter the come. Junior midfielder Jessica Brandt rattled a shot off the crossbar with just less than three minutes left in the first extra session. Meanwhile, a similar effort by Predanic in the game's opening 10 minutes kept the affair scoreless. Predanic also drove a dangerous free kick from 30-yards out that sailed just high in the final 20 seconds of the second overtime.